This is an amazing time to be a film-maker in climbing. New technologies allow incredible power in creating and presenting images. Lightweight high-resolution HD cameras offer clarity and precision unheard of in productions of only a few years ago. The standard achieved by shoestring operations, i.e. most climbing film-makers, is frankly inspiring as it shows that people with the right motivation and powers of observation and insight can go as far as they want to. The fan of climbing film has never had so much high quality material for viewing as now. Pure is the most recent film by Chuck Fryberger and illustrates these qualities of observation and insight abundantly. 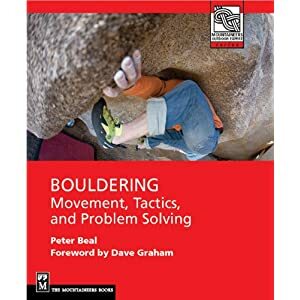 He partnered with the awesome climbing talents of Nalle Hukkataival, Kevin Jorgeson, and Cody Roth, to name only a few to create a genuinely interesting and exciting depiction of the new wave in bouldering. A broad range of fascinating locales are visited in the course of the video including Rocklands, Northern California, Austria, and Switzerland. The argument could be made that the Rocklands segment is worth the 15 dollar download by itself. Chuck has documented not only amazing problems but the texture and ambiance of the area. The filming of Sky and Amandla, two V14 problems, really capture something special about the intensity of their difficulty and their inherent aesthetic appeal, remarkable since they are very different in style. Nalle’s warm and unpretentious manner belies the power he can apply to these problems. This theme is carried over into a segment featuring Kevin Jorgeson on the coast north of San Francisco. Eerily sculpted rock over bad landings adjacent to the crashing surf push this master of highball bouldering into spooky positions but Jorgeson’s low-key persona leaves us reassured that it’s all going to be OK.
Font is good, especially as Nalle crushes the Dave Graham testpiece, The Island, V15. I feel the hip-hop background track is perhaps misplaced here as it doesn’t seem to match the environment or Nalle’s style of climbing. And maybe some other problems besides the “Big Four” of Cuvier Rempart would have been a better choice as those have been extensively filmed elsewhere. With so much to choose from in the forest, a fresh set of problems would have been welcome. But still they are beautifully climbed and filmed. Innsbruck, Austria is an incredible place for all forms of climbing and bouldering in the snow, in temperatures more appropriate to ice climbing, is the game here. Anna Stoehr dispatches a beautifully sculpted V11 next to a rushing creek, her body flowing like the water behind her. Killian Fischhuber has a very different style, bursting with energy, and the footage of the World Cup at Vail reflects this abundantly. In fact the later sequence of Nalle at Arco, achieved the impossible, making video of competition actually exciting to watch. Wrapping up the Zillertal, Cody’s ascent of Sundance (V12) is acrobatic and it's fascinating to try to decipher his sequence. Switzerland really forms the heart of the film and a gorgeous opening shot leads via highways and road signs to gorgeous boulders in pine forests. Footage of Francois and Frederic Nicole are a real highlight. Reto Hartmann moves through the mist up a steep V13 is followed by a shot of dangling moss brushed by the wind. Here the natural environment is as much a subject for the camera as the climber moving through it. The mysterious setting is well mirrored by the music and this effective synthesis is a hallmark of much of this film, never more so than in this segment. After a rousing comp scene at Arco, we see Nalle again on some very beautiful boulders in Magic Wood and Brione, capping what will be for most viewers, I am sure, a very satisfying viewing experience. In short this is a very good film from every standpoint. Chuck’s aesthetic sense is at times uncannily in tune with the camera, milking the maximum potential from each frame. The colors are always rich, the light is captivating,and the movement is well, pure. Highly recommended viewing. Look for an interview with Chuck Fryberger in the next post. Great review, Peter. You sold me. Can't wait to check it out now!